A group of whales is called a pod. When lions congregate, they're a pride. Get several crows together and you've got a murder. So what's the proper term for an assembly of SketchUppers? A Basecamp, of course. And the next one is only about four months away. 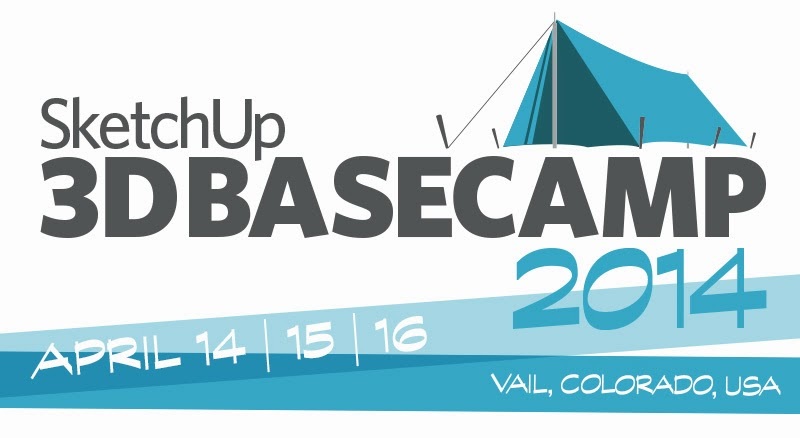 SketchUp 3D Basecamp 2014 will take place April 14th, 15th, and 16th in the scenic mountain village of Vail, Colorado. Hundreds of the world's most dedicated modelers will spend three days teaching, inspiring, and entertaining one another. Some will ski; others will ride; many will simply sit in front of the fire and drink toasts in celebration of gathering with others of their own kind. Education and affirmation all in one. Sound good? If you're reading this, there's a good chance it does. Registration for 3D Basecamp 2014 is now officially open, so there's nothing standing between you and the best mid-April of your life. Visit the event website to get all your questions answered, or go straight to the Registration page to claim your spot. See you in Vail! Do you mean a group of crows? I love the term "Murder of Crows"